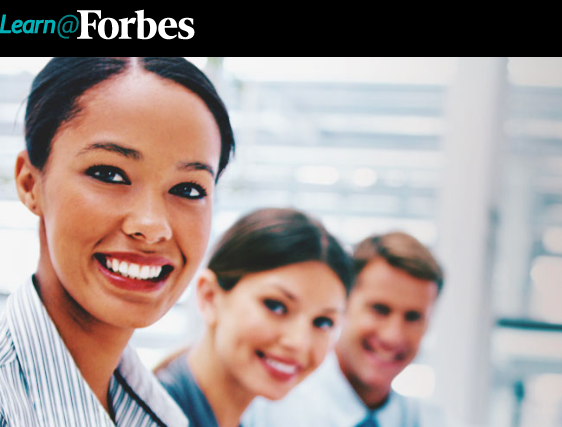 On June 6, Forbes, the online publication best known for letting executives share their views on everything from personal finance to training, launched Learn@Forbes. The new eLearning platform will offer 60 self-paced courses for aspiring professionals who want to learn more about leadership, entrepreneurship, business, sales, IT, cybersecurity, and software. However, with Learn@Forbes, Forbes is also clearly interested in attempting to make the most of the current disruption unsettling workplaces across sectors. By 2020, the world will face a shortage of 5 million trained workers. Steve Forbes, Chairman and Editor-In-Chief, Forbes Media, emphasizes “With Learn@Forbes, business professionals have a resource for learning real-world skills so that they can achieve success at every stage in their career.” This, notably, is also precisely how Forbes appears to be marketing their new suite of courses to workers. Notably, Learn@Forbes will be launched on the Bridgepoint Education platform. As reported on eLearning Inside News earlier this year, Bridgepoint, while not new, is a newly restructured entity. In March, Bridgepoint, which was previously the holding company for two private online universities (Ashford University and the University of the Rockies) announced plans to separate from its academic institutions and become an online program management (OPM) company. Notably, earlier this year, Ashford University and the University of the Rockies merged and restructured to seek nonprofit status while Bridgepoint Education repositioned as an OPM with Ashford as its first customer. Now, Bridgeport appears to be taking a new direction as it contracts with Learn@Forbes. Will Learn@Forbes Offer Competition for Lynda? To date, Learn@Forbes has only a limited number of courses in five categories (business, coding, sales, entrepreneurship and leadership) and several separate certifications. By contrast, Lynda offers thousands of courses and is a known and trusted brand. Indeed, long before being acquired by LinkedIn, which was in turn acquired by Microsoft, Lynda had established itself as a trusted online training platform in the business sector. Another question that remains is whether or not Bridgepoint Education has the capacity to support Forbes Media’s new initiative. While by no means new to eLearning nor to dealing with high numbers of students (notably, Ashford University is the nation’s fifth largest university by enrollment), can Bridgepoint Education provide Forbes Media with a stable platform to scale its ambitious new project? For both Forbes Media and Bridgepoint Education, the stakes are obviously high. For Forbes Media, Learn@Forbes represents a new venture–one that will edge Forbes Media into the growing online workplace training sector. For Bridgepoint, Learn@Forbes represents a bold move to rebrand as an OPM serving the training sector and not simply higher education. Why Is Live Interactive Video Streaming So Rare Among MOOCs and LMSs?